Last year I had the privilege of going to Montreal QB for Osheaga, and it was definitely an amazing and unforgettable experience. 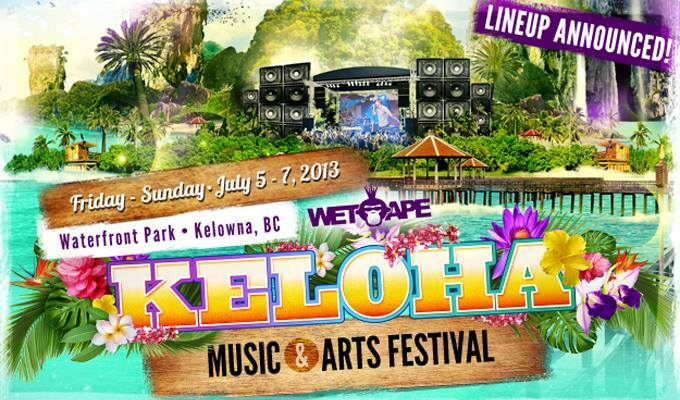 This year, I was able to check out Keloha Fest in Kelowna BC, thanks to Canadian Club #mixedandready. Although the festival itself was smaller scale, the trip itself was truly unforgetable and definitely what summer should be all about. I don’t want to get into the nitty gritty details of the trip, but I did want to comment on some of my experiences while there. Especially for those planning on making the trip as well. First off, if you’re coming from somewhere like Toronto (like me) for the fest, make sure you make the trip worth your while and spend at LEAST a week on the West coast. 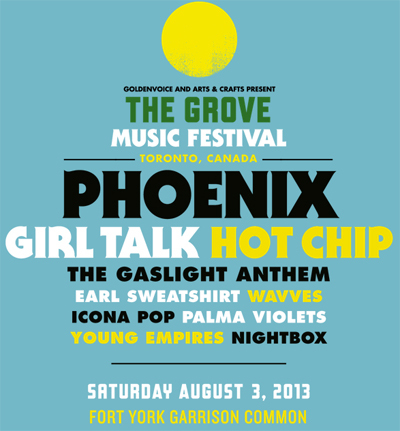 I would even suggest spending half the time at the 3-day festival and the other half in Vancouver. This was my first trip to BC, and I felt like there was so much I would have wanted to do, but just didn’t get the time to do it. Secondly, if you’re staying in Kelowna, get a hotel right in the downtown area close to the festival grounds. There’s SO much to do in the area, including bike riding, paddle boating, wake boarding, grabbing drinks, ice-cream, walking on the beach, henna, shopping and more. 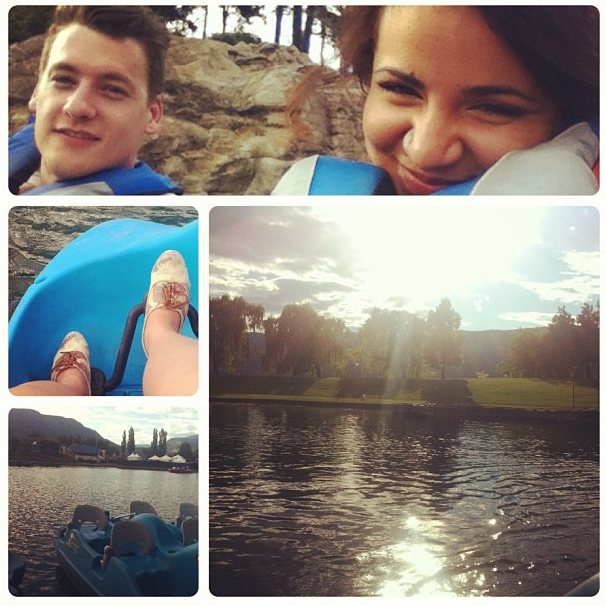 Check out my friend Ian and I on the paddle boat below. I loved this part because while paddle boating, we could hear the festival and bands in the background. Kinda awesome. The weather in BC was unreal for the festival weekend. Hot, but not muggy and not humid. If there was a definition for perfect summer weather, that would be it! Closer to the festival grounds there’s a beautiful walkway that goes along the boarder of the water. It was pretty surreal to just sit and watch the boats and all the activity happening. I would be pretty content just sitting on a bench the whole weekend just to take in the beauty of it all. But i wouldn’t do that- there were things to be done, including the fest itself! Day 2 in Kelowna was festival day, where we also met up with Chelle Morgan from Discovering Elegance. When we arrived we headed straight to the Sand Stage, which was literally a stage on the sand. The stage was right beside the water which was awesome because we could stand in the water and watch the bands as well. Here is where we saw a favourite band of mine, Humans. The biggest difference between Osheaga and Keloha was definitely the atmosphere. Keloha has this relaxed, chill vibe that makes it really feel like an escape destination. No stress, just good summer vibes. Everyone was just calm and going with the flow. Osheaga is amazing for their line-ups, but while there it’s still pretty stressful making it from one stage to the other, sifting through aggravated crowds of people and never being able to make it close enough to see your favourite artists. Small scale festivals are where it’s at! Here we saw a bit of Capital Cities, SHAD and more, but we were definitely most excited for the headliners of the evening, Matt & Kim. I’ve always heard that they are great live, but they were way better that I expected. They were personable, interactive with the crowd, funny, and best of all, they have amazing danceable music. Definitely worth the trip just to see them! Overall it was an amazing experience and it makes me want to start a tradition of seeing at least one music festival every summer. Mixed and Ready was amazing for sending us there and they actually have a contest running to have a lucky winner and a friend to check out The Grove festival this summer along with other great prizes. If you’re 19 or over and in Canada, you should check it out and enter [here]. These songs give me chills, which makes them perfect for summer nights. If you were ever a Daft Punk fan or still consider yourself to be one, this will surely make you smile. Coachella may not be as well known for releasing big stuff the way SxSW is, but this news was definitely up there for some. We heard rumours last year that Daft Punk would be releasing a new album, and finally at Coachella we’re getting a sample of what’s to come. In the video you can hear their new track “Get Lucky” Ft. Pharrell & Nile Rodgers, and see all of the collaboration for their new album Random Access Memories. Some collaborations include Panda Bear, Julian Casablancas, Todd Edwards and DJ Falcon, and more. The single drops April 15th 2013, which hopefully means we’ll be getting more, if not the full album by summer time. This preview warmed my heart and I am so looking forward to this! This series is fun, creative and not only beautifully shot, but also contains some beautiful overlaid typography from The Lost Type Co-Op. The videos were shot for Smoothicles, the website that shares some creative smoothie ideas that you can tun into popsicles. Perfect timing considering the weather is getting better day by day. 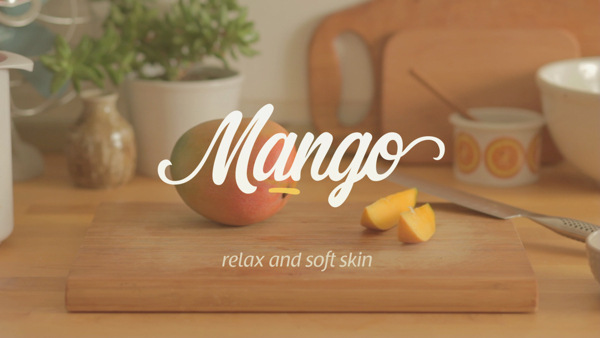 The way that the type is unique for every ingredient is really captivating and pleasing to the eye. It has a great flow and it tells the story really well. The combination of video and type in an instructional way really makes an impact. The video portion isn’t complicated either, which makes taking in both at the same time simple and fluid. I also find it much more compelling than most videos focused around type. I’m really looking forward to seeing more in this series.